Newscorp introduces $299 Android tablet aimed at education market | Android Blast! Newscorp has jumped into the tablet game. What? 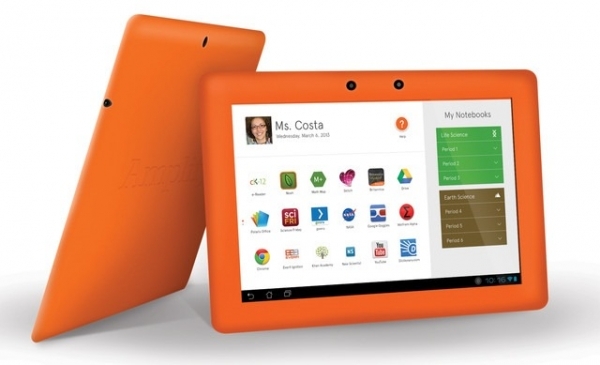 The media company has introduced a 10" Android tablet aimed at the education market. The tablet will come pre-loaded with Google Apps for Education, content from Common Sense Media, Merriam-Webster's Dictionary, and a graphing calculator. Users who already have an Android tablet can get these same apps, but Newscorp will target teachers with this offering. The tablet will sell for only $299, but there is a catch. To get that price you will need to purchase a $99 Amplify subscription for two years. With the subscription the tablet will cost $500. Why not just buy a Nexus or iPad? The $299 tablet will wifi only, but Newscorp will offer a 4G version for $349 + $179 subscription. There is no official release date yet, but the tablet is being shown off at the SXSW Education conference in Austin, TX.